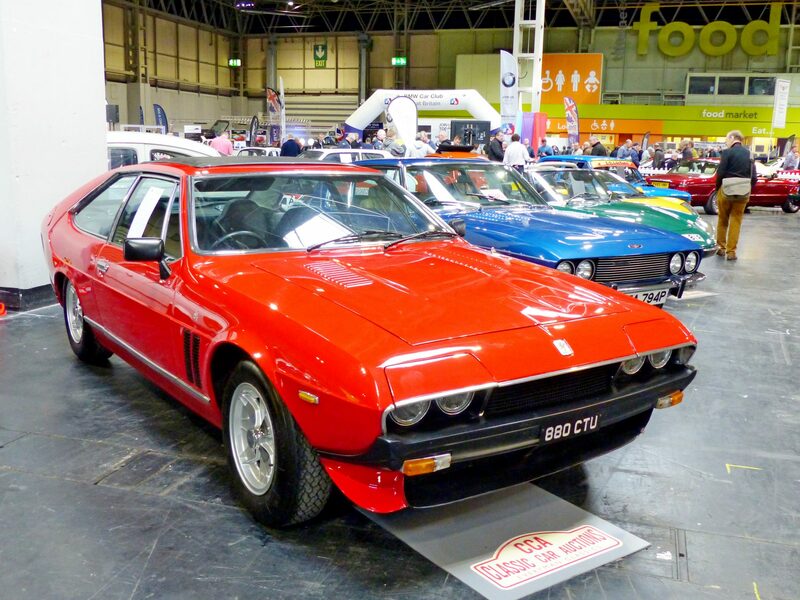 One of the key features of the Classic Car and Restoration Show is the high number of Classic vehicle clubs that are included. These clubs remain the life and soul of the classic vehicle community, and it is the same for the show. It is club members that work tirelessly to ensure all the fantastic marques are not forgotten and remain on our roads as long as possible, so enthusiasts of all ages can enjoy our motoring heritage. Last year 159 clubs (more than ever before) showcased vehicles in everything from barn finds through to concours condition cars and everything in between. The majority were actively working on restoring or servicing vehicles on their stand during the show including brake systems going under full overhauls, new front wings being fitted, head gaskets replaced and full paint jobs…and that was just one club! Some clubs even allowed visitors to get their hands dirty and try a bit of restoration work themselves. Will Goldsmith, and his 1968 Sunbeam Alpine GT, one of the six finalists for the ‘Restorer of the year’ competition. The winner will be announced on the Restorer of the Year stand on the morning of Friday 22 March by Practical Classics editor Danny Hopkins and Wheeler Dealers’ Mike Brewer.